For workers comp cases we would need authorization from your workers comp to schedule such appointment. 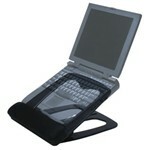 A keyboard tray, mouse and keyboard should be customized for each person depending on their need and injury. These links will take you out of this website. A mouse should be the size of the hand. 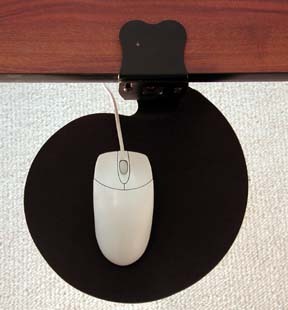 The larger the mouse the better as it will help keep the wrist straight. Depending on the condition you need to choose a proper mouse. 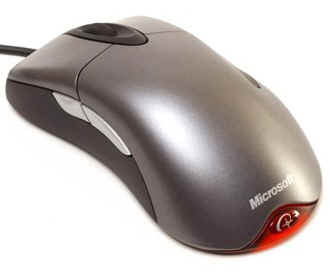 Majority of times the problem occurs if the mouse is not positioned correctly and used the correct way. So in-order to avoid such problems try the mousemate, which eliminates such problems. Laptops aren’t designed to use for long term. If you need to use laptop for long term you need to set it up the following way to avoid injuries. Easy roller a must to carry all laptop accessories. Use mouse with mouse mate. Your Personal Assessment:When seated with feet on the floor/ or foot rest. 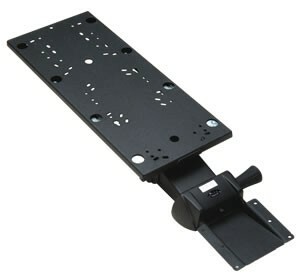 An articulating keyboard platform with negative tilt, that easily adjusts to individual height, angle and distance from the screen, with neutral wrist position to avoid carpal tunnel pressure and tissue trauma. Avoid long reaches by locating the items that you use most close to you. Keep the Mouse and Keyboard at the same level. No wrist rest. Do not rest and type. Play keyboard like a piano with neutral wrist When mousing do not lever on the wrist. Move the whole arm while still keeping the elbow by your side. If wearing bifocals keep the monitor low to avoid tilting your head up. Mouse should be size of your hand. 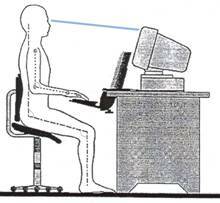 An integrated system that includes these points will improve body posture and prevent RSI. Early warning signs of RSI. Don’t grin and bear it. It’s NOT part of getting older, inform your manager Seek Medical attention ASAP.